"Fuffy, moist chocolate chip muffins! Easy recipe with a touch of buttermilk & sour cream!" Visual learner? 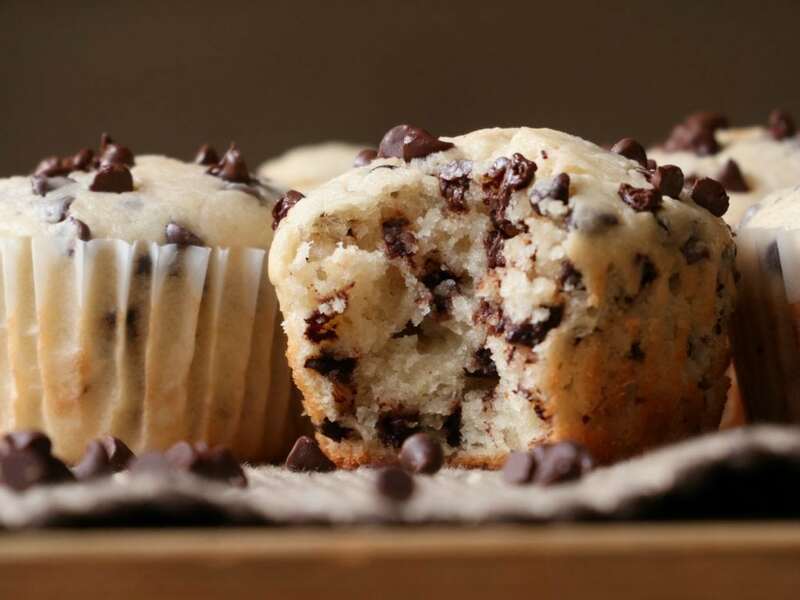 Watch this Chocolate Chip Muffin Recipe from start to finish! Now and then I go through an intense happy homemaker streak. I’m not sure what it is that arouses my domestic prowess, but it’s in full swing! I’ve made a homemade breakfast every morning, ironed the kid’s clothes for the week, and dinners are on the table by 5:30. Currently, I have homemade elderberry syrup simmering away on the stove and yall…I even pulled out my sewing machine to hem up some curtain. Don’t feel impressed yet though. Hahaha! 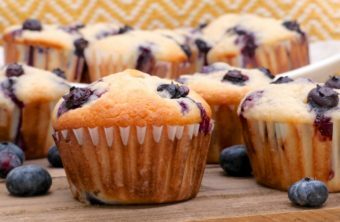 So lets’ just all enjoy this streak while it’s hot which brings me to muffins! Oh my dear sweet new addiction, muffins. I’ve been making all kind of homemade muffins for our morning coffee. My hubby is a happy man right now because to him coffee + dessert is the only way to start the day. 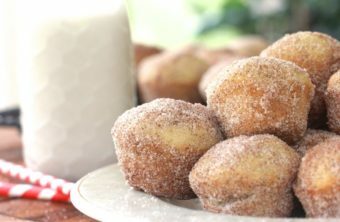 I’m seriously starting to prefer muffins with my coffee over doughnuts! They are so easy to prepare and made in just about any flavor under the sun. Today I want to share with you these bomb diggity chocolate chip muffins I made yesterday. We usually aren’t fans of adding chocolate chips to things other than chocolate chip cookies but my oh my! These were amazing!! I followed my blueberry cream cheese muffin recipe, only swapped out the cream cheese for sour cream and blueberries for chocolate chips. Oh and nixed the lemon extract. The sour creams give it such a moist, dense yet fluffy texture. 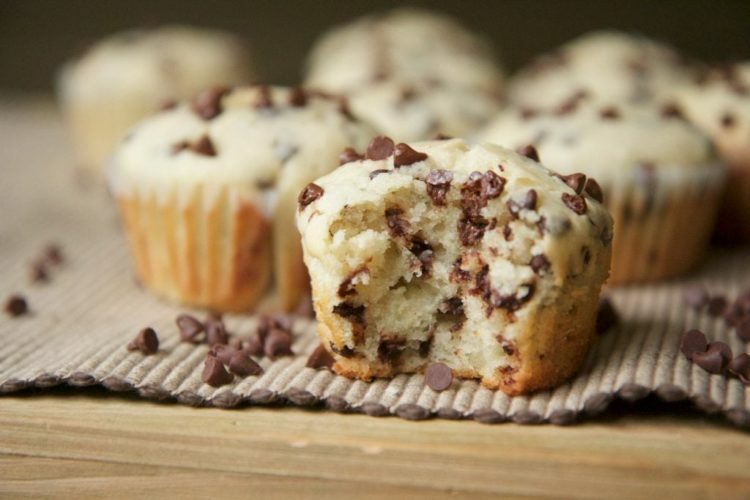 You could seriously get away with calling these muffins, “Chocolate Chip Cookie Dough Muffins.” No one would question it because that’s what they taste like to me. I hope you enjoy these chocolate chip muffins as much as we do! Mix in egg and sour cream. Pour batter evenly into prepared muffin tin. Sprinkle a few additional chocolate chips on top of batter. Remove from oven and let cool in pan for a few minutes,( muffins will continue cooking as they cool). Please I would like to know the measurement if I want to double or triple the quantity of the receipe.